Todd brings over 30 years of experience in financial and management roles at Lincoln and its affiliates. Significant assignments at Lincoln included Vice President of Corporate Development; Senior Vice President and CFO of The Lincoln National Life Insurance Company; Senior Vice President of Lincoln Financial Advisors; and Senior Vice President, CFO and Treasurer of American States Insurance Company. Prior to joining Phillips Todd also served as President and CEO of United Way of Allen County. Todd has a bachelor’s degree in accounting from Indiana University. He has been a CPA as well as a Chartered Property Casualty Underwriter, and a National Association of Securities Dealers Series 7 Registered Representative and Series 24 Registered Principal. Todd has been deeply involved in the Fort Wayne community. 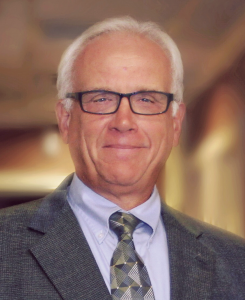 He currently serves on the Boards of STARBASE Indiana, Friends of the Lincoln Collection of Indiana, Bowmar LLC, Canterbury School, Canterbury School Foundation, and the Greater Fort Wayne Chamber of Commerce Foundation. In the past, Todd has been Chairman/Board President of The Greater Fort Wayne Chamber of Commerce, Big Brothers Big Sisters of Northeast Indiana, and Canterbury School as well as serving on several other boards in Fort Wayne and Indianapolis. Todd and his wife, Janet, have two daughters and two grandchildren.